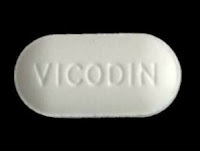 It is probably fair to say that there is hardly an adult in the country who has not been prescribed Vicodin (hydrocodone) at one point or another. This has certainly played into the fact that hydrocodone medications are the second most abused painkillers after oxycodone. It is almost unbelievable to think that in less than a year’s time we may be seeing a new drug hit the market - pure hydrocodone. Hydrocodone medications today mix hydrocodone with non-addictive pain killers such as acetaminophen. Drugs that contain pure hydrocodone without any additives offer huge potential for abuse and addiction, most likely on the same level as oxycodone. The new drugs will have up to 10 times the amount of the drug as existing medications such as Vicodin. Four different pharmaceutical companies have begun patient testing, and one of them, Zogenix of San Diego, has plans to apply early next year to start marketing its product, Zohydro. Zohydro, will be a timed-release drug meant for managing moderate to severe pain, without the time release abusers could crush it to release an intense, immediate high. Zohydro will be abused the same way every other prescription opiate drug has been in the past, once addicts can get their hands on a purer form of the drug they will hardly want the drug’s forefather Vicodin. The FDA should really think long and hard before they allow this drug’s release. Is oxycodone not powerful enough already?